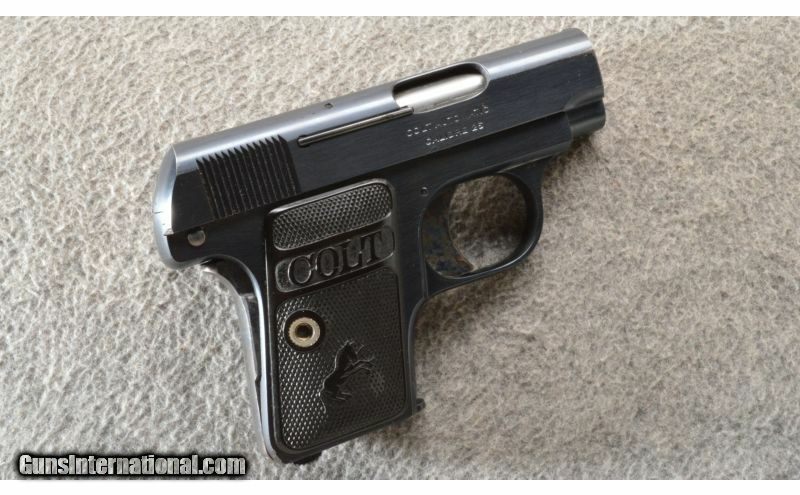 This is a very fine example of a Colt M1908 Pocket pistol in .25 ACP. The blue is about new looking with just a touch of thinning on right side close to the muzzle on a sharp edge. The remaining blue is as new. The case color Back-strap, safety and trigger are also like new. 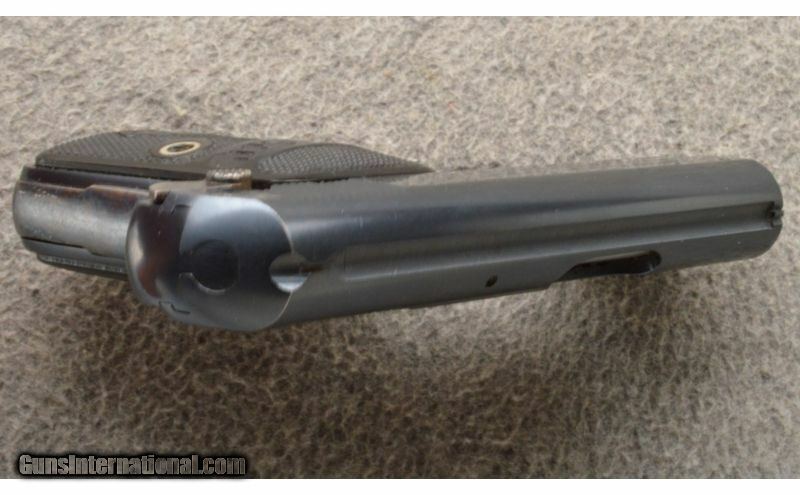 The pistol has a 2 tone (Black and Silver) mag. 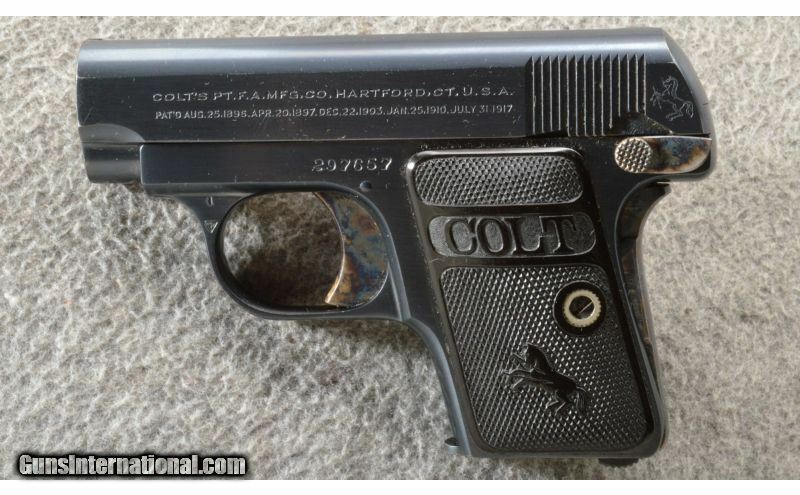 This pistol was made in 1921 but looks like it could have been made last week. Wood Condition: The grips are like new. Stock: Black hard rubber grips with Rampart Colts and fine checkering.